Thanks for stopping by today as your week gets started. 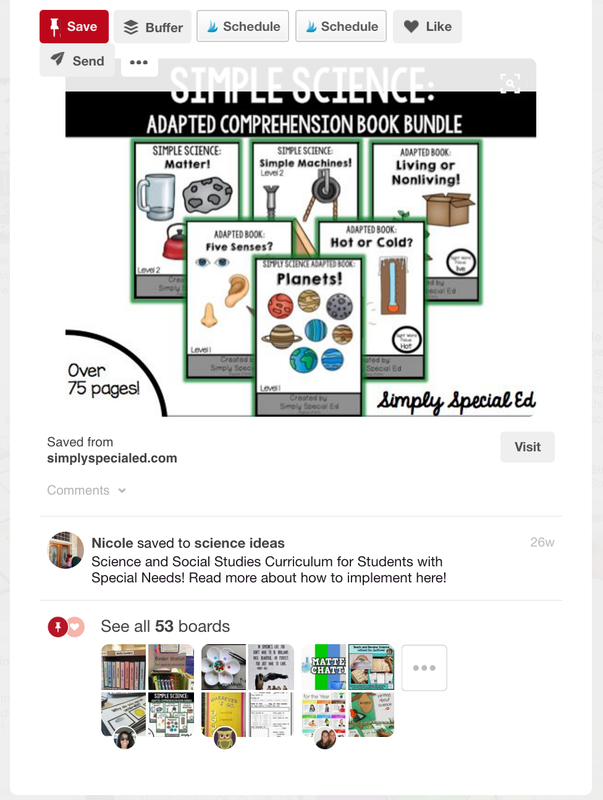 Today I thought we'd revisit Science in the special education classroom. 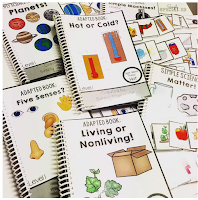 I adore teaching science but struggled with finding appropriate materials to teach my kiddos in special education that didn't have an astronomical price attached to it. 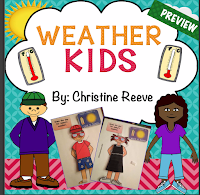 Now that I'm retired, and having a ball creating materials for special education classrooms I wanted to make some materials for teaching science. 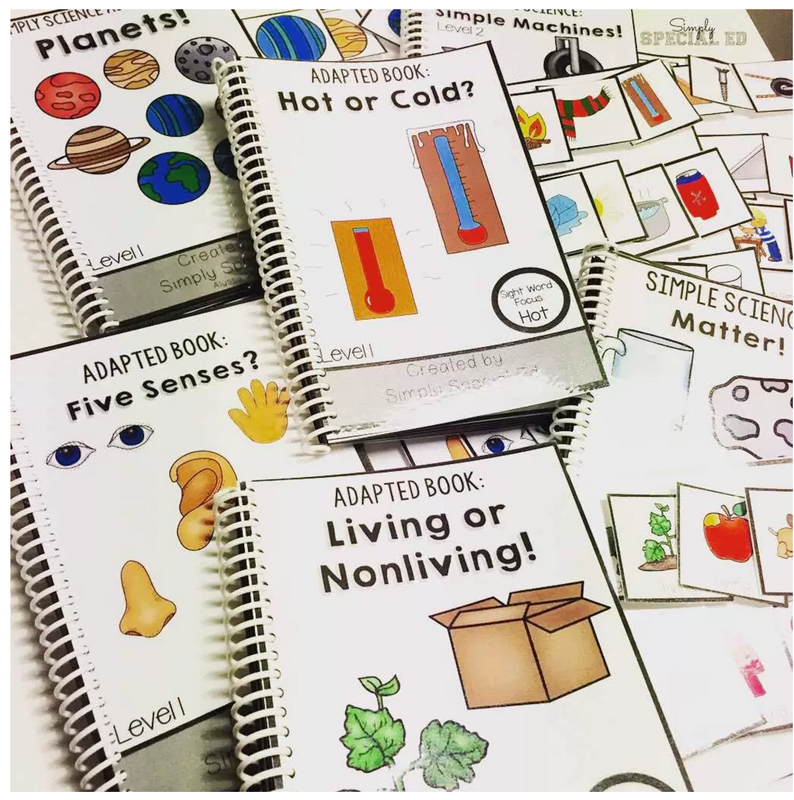 A year ago when I was teaching and searching for science materials to use with my kids, I found plenty of great materials, but they either needed extensive adaptations to make them useable with my students or they didn't have enough differentiation in them. I struggled with which way to go. I worked with a class of 8 kids whose disabilities ranged from moderate to severe and their academic skills differed significantly from pre-kindergarten to 3rd grade. Some students were verbal and others had no verbal skills or very low communication skills. 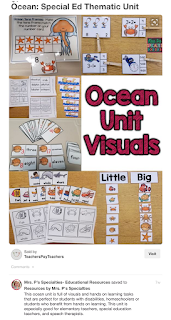 I struggled to find the materials that had enough options of different ways for my kids to interact and respond to the materials, yet also provide the range of skill levels I needed. 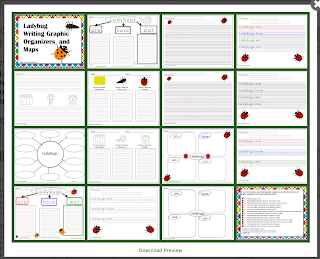 So recently I decided it was time to focus on developing some science materials that might be a better fit to the needs I had in my classroom. So I went looking to find what areas of science ARE available and perhaps what areas I could focus on that hadn't already been covered. When I went looking I found some great options! I was surprised how much was out there! Actually I was AMAZED! 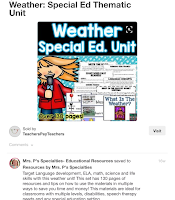 So many people had evidently been developing some great resources; whether it was ideas written about teaching science written in blog posts or creating materials they were selling on Teachers Pay Teachers. As I plowed through the ideas that came up in my searches, I thought I would share some of what I found with you. 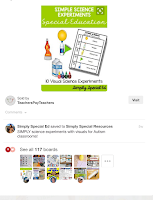 Below you will find a smattering of concepts, materials, ideas and experiments developed for students with special needs. 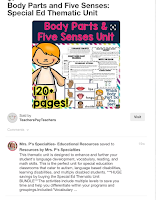 They have been created by a many talented individuals, many of whom are special education teachers themselves or work in the field of special education. Take a look at the treasure of ideas I found in my journey. 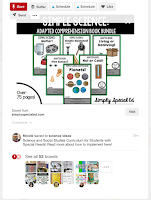 Each picture includes a link either to a Pinterest pin where you can find out more details, a link to a blog post that will provide you with further information about the topic or links to products on Teachers Pay Teachers. 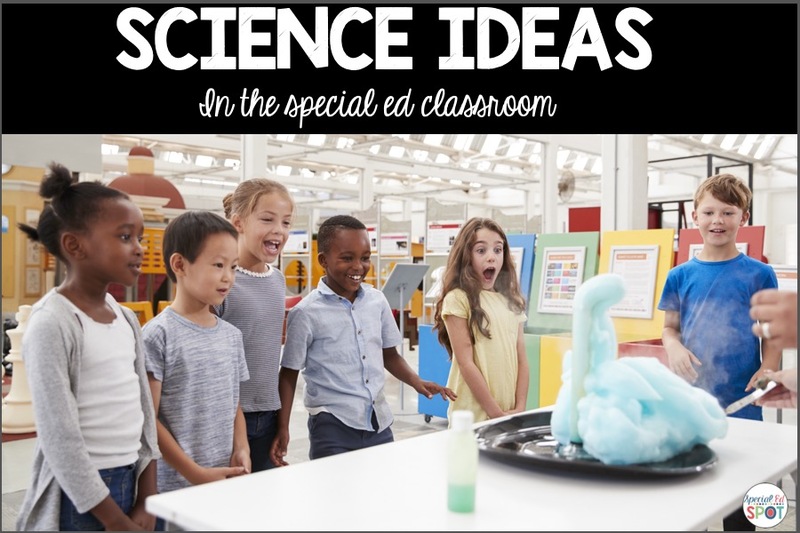 I hope you enjoyed this small gathering of ideas I found about teaching science in the special education classroom. Drop me a comment below and let me know what topics in Science you would like to see products about, to help you. If you like this post, you might also like my monthly newsletter. Enroll below to subscribe to our newsletter for information, resources and occasional freebies!